Shoprite ~ Starting 3/25 – Zest Body Wash or Bar Soap just $0.49, ends 3/31! Bath & Body Works ~ Wallflower Refills Just $2.95, Today Only! Bath & Body Works ~ Wallflowers Refills only $2.88, ends 1/25! Bath & Body Works ~ Final Hours – Select 3-Wick Candles, only $7.50! ? Bath & Body Works ~ Select 3-Wick Candles, only $7.50! ? Bath & Body Works ~ Final Hours – 3-Wick Candles, only $8.43! ? Bath & Body Works ~ Today Only – 3-Wick Candles, only $8.43! ? Bath & Body Works ~5 for $18 Wallflowers Refills – ends Today! Bath & Body Works ~ $2.95 Wallflowers & Wallflower Refills, Today Only! 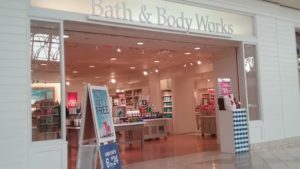 Bath & Body Works ~ Last Chance to Get 25% Off Your Entire Order, ends Today! Bath & Body Works ~ Last Day, Fall 3-Wick Candles only $9.37, ends Today! Bath & Body Works ~ Fall 3-Wick Candles only $9.37, ends 9/2! Bath & Body Works ~ Get 25% Off Your Entire Order, ends 9/4! Bath & Body Works ~5 for $18 Wallflowers Refills – ends 8/17! 50% off 3-Wick Candles, plus take 20% off a $25 purchase @ Bath & Body Works!